A monument commemorates the gold discovery in Forbes. Harry Stephens, also known as ‘German Harry’, discovered gold at the site originally named Black Ridge in June 1861. 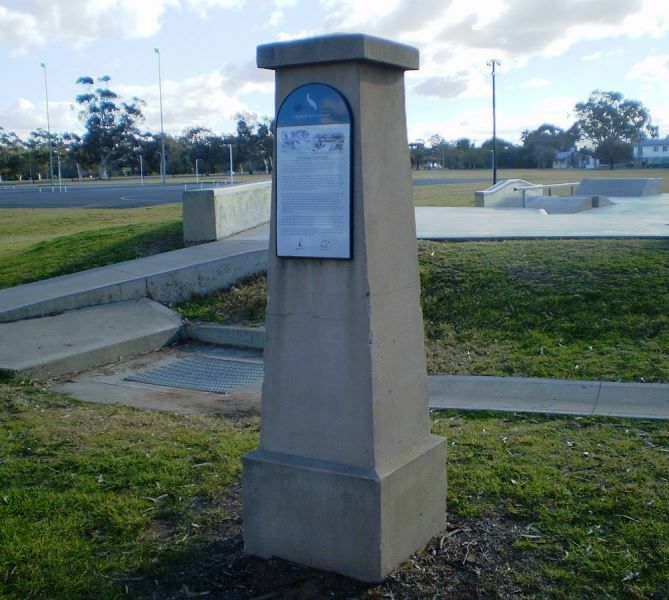 The name Forbes (honouring Sir Francis Forbes) was declared from Sydney, possibly as the result of an administrative error – it is said that the name was meant for the town now known as ‘Hill End’ (near Mudgee, New South Wales) where gold was discovered around the same time. 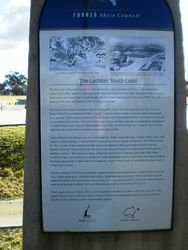 Initially about 30,000 people moved to the Lachlan goldfields, but by 1863 this had declined to about 3,500 because of the difficult mining conditions.